The city of Baltimore in Maryland, together with the Washington DC area and the adjacent parts of the state of Virginia, has historically been a location for some of the toughest, most uncompromising bluegrass music and many important pickers. 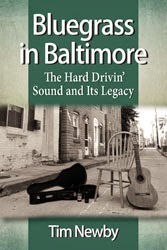 Their story is now being told in a forthcoming book by Tim Newby, Bluegrass in Baltimore: the hard drivin' sound and its legacy, which is expected to appear in the near future. Read more on its Facebook page, where you can see an introductory video (also on YouTube). As one example of the quality of bluegrass being played in Baltimore, here's a video of fiddle-and-banjo duets by Jon Glik and Mike Munford. 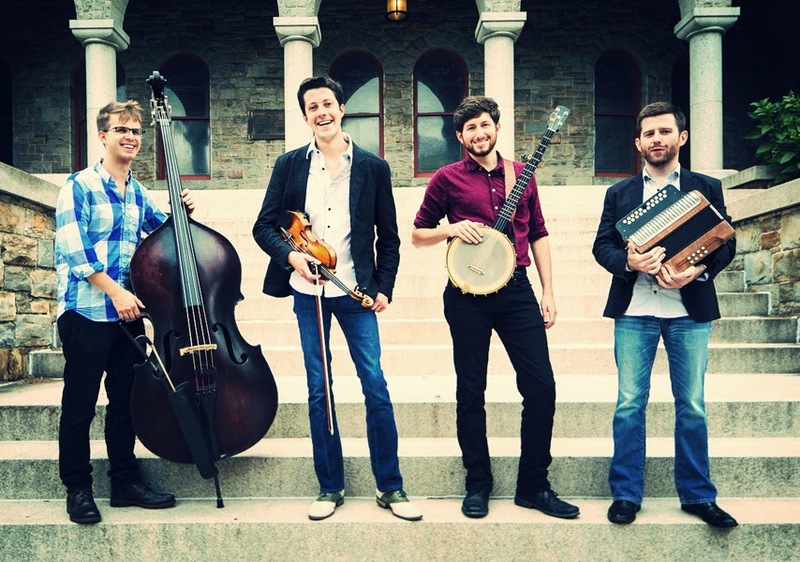 Another example of music coming out of 'Charm City' (as Baltimore is also known): Bluegrass Today presents a feature on the four-piece Charm City Junction, composed of bluegrass fiddler Patrick McAvinue, old-time banjoist Brad Kolodner, box player Sean McComiskey, and classical/jazz bassist Alex Lacquement. We can see this kind of combination catching on in Ireland - except that any bluegrass fiddler (let alone one of the calibre of Patrick McAvinue) found in such a group would be shanghaied into an unequivocal bluegrass band. Patrick McAvinue has in the past made his presence felt in Ireland as a member of Tom Mindte's Patuxent Partners band, and we learn with great pleasure that Tom and another Partner, ace banjo-picker John Brunschwyler, intend to be in Ireland this summer. More details of this will be on the BIB as soon as we get them. Updates 26 Mar. : As mentioned on the BIB on 9 Mar., Tom, John, and the Patuxent Partners will be touring in Ireland in July; the band will be appearing at the Athy and Ardara festivals. Also, Tim Newby's Bluegrass in Baltimore will be published in May 2015; it can be pre-ordered at McFarland Books for $35.00.